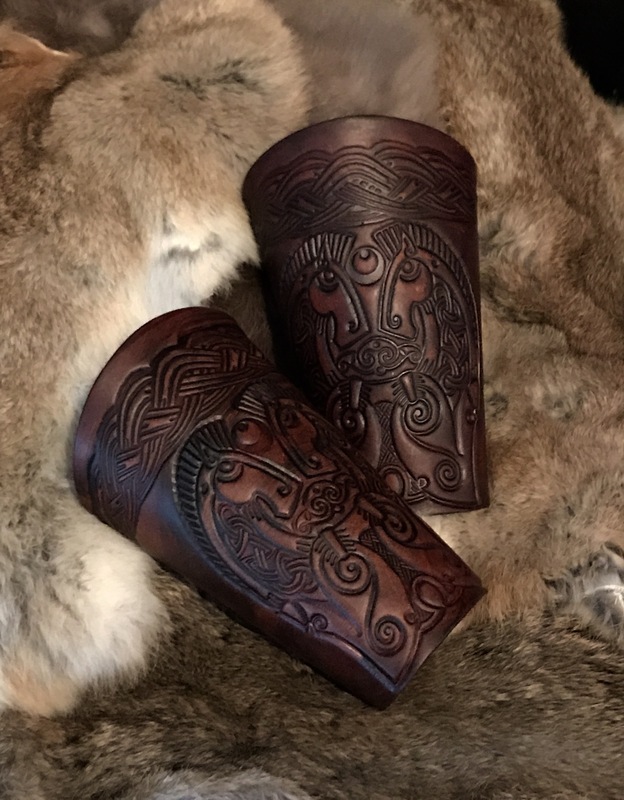 The Rhidur Norse leather Vambraces are a simple but elegant?design of arm guard from Black Raven Armoury, with a pair of norse horses on each arm and available in two sizes., they have been professionally dyed and built for you by ourselves. Created & designed by Alex Agricola, the whole set is made of premium grade top grain Veg Tanned leather? (laminated to a minimum 6mm thickness) . 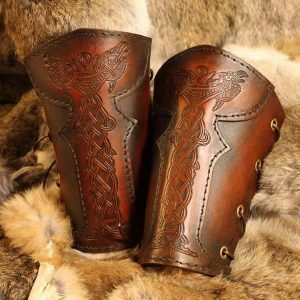 Straight from the Ragnarok and the the fields of the Nephilim come the Rhidur Norse SCA leather Vambraces. 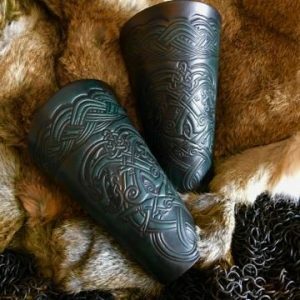 These imposing leather gauntlets are designed to turn axe blades and show status. 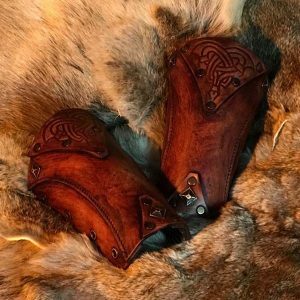 Alex Agricola, Black Raven Armoury’s Chief Armourer, came up with the design after studying ancient Norse texts and conjured them into flesh using premium grade top grain Veg Tanned leather (laminated to a minimum 6mm thickness) . Embossed with impressive Norse art, the Rhidur Norse Leather Vambraces would be the ideal companion for anyone portraying a Viking, a Rogue or a Dark Lord. ?Canterbury has never seen a rogue like him… they say he was berserker lost to the sea and washed up on our cursed shores… ?